The price is set up at the amount of 8400 Euro. 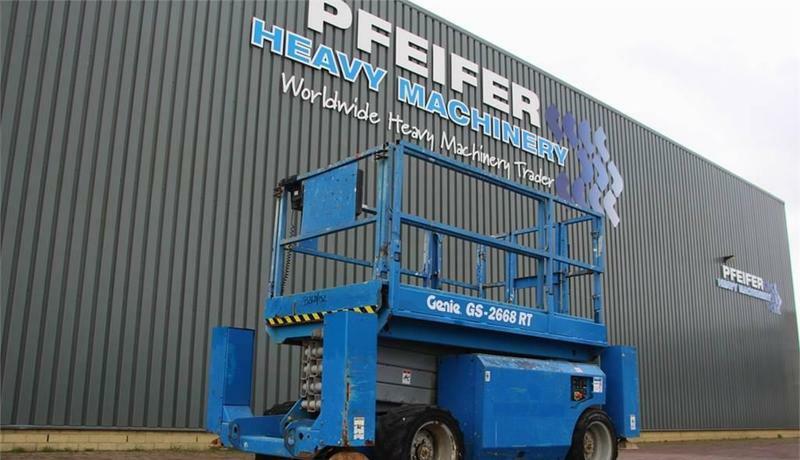 Check the technical data of the unit, picked out from the catalog of GENIE GS2668RT scissor lift. The gross weight is 3464 kg. Chassis configuration: front tires: 20 %, rear tires: 20 %, tires: Outrigger. Max. lifting capacity: 567 kg.